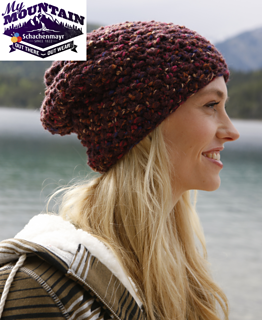 This slouchy-shaped hat is worked with a four row textured stitch pattern. The pattern knits quickly in Schachenmayr select Boston Style to make an attractive, eye-catching finished accessory. This is a FREE pattern available to all visitors of the North American Schachenmayr website.